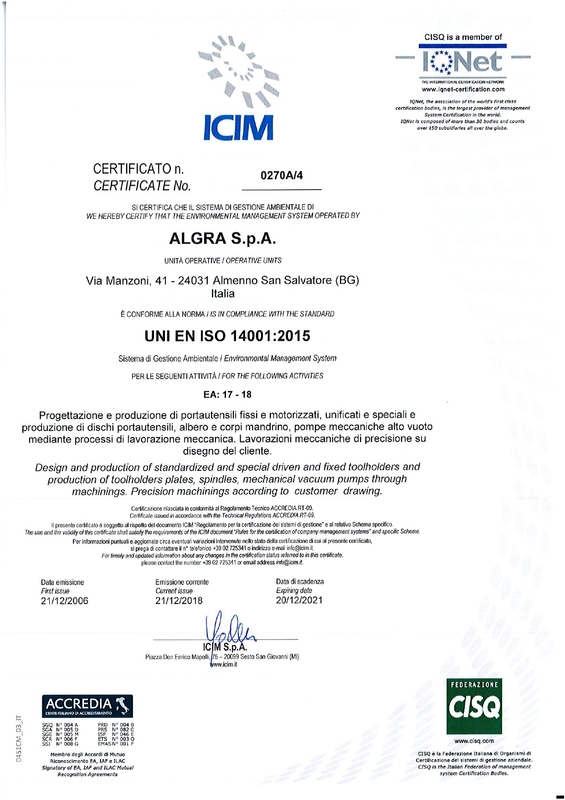 Advanced technology plays a key role in order to increase their own value and their products one , services and staff capacity, operating in compliance with UNI EN ISO 9001: 2015 and ISO 14001: 2015. 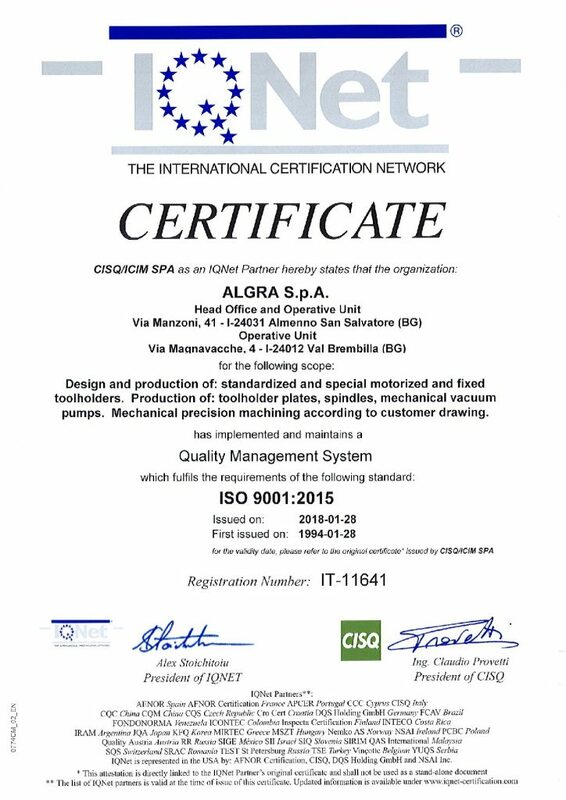 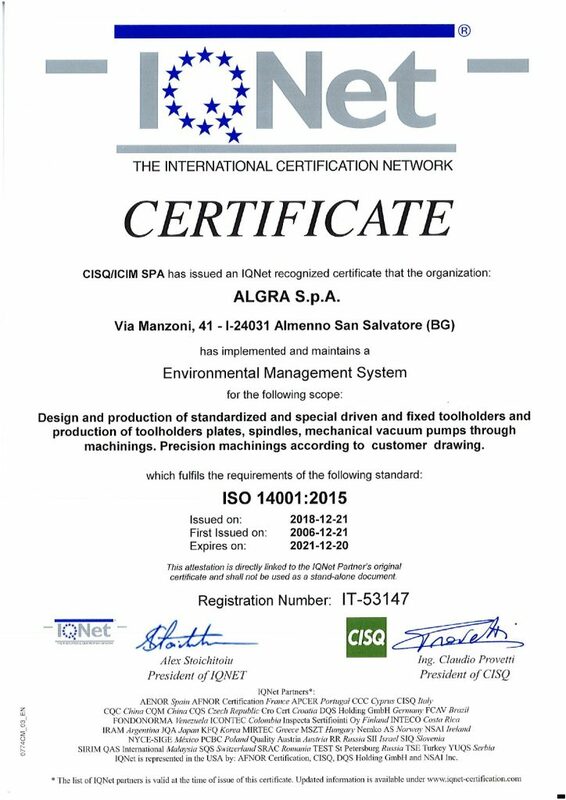 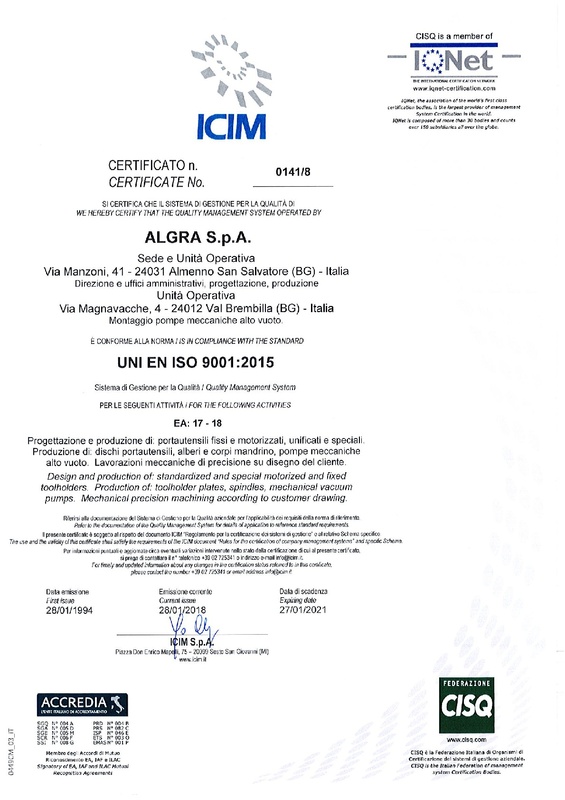 Its quality system is certified since 1993 in accordance with the UNI EN ISO 9001: 2015; The environmental management system is certified in accordance with ISO 14001: 2015. 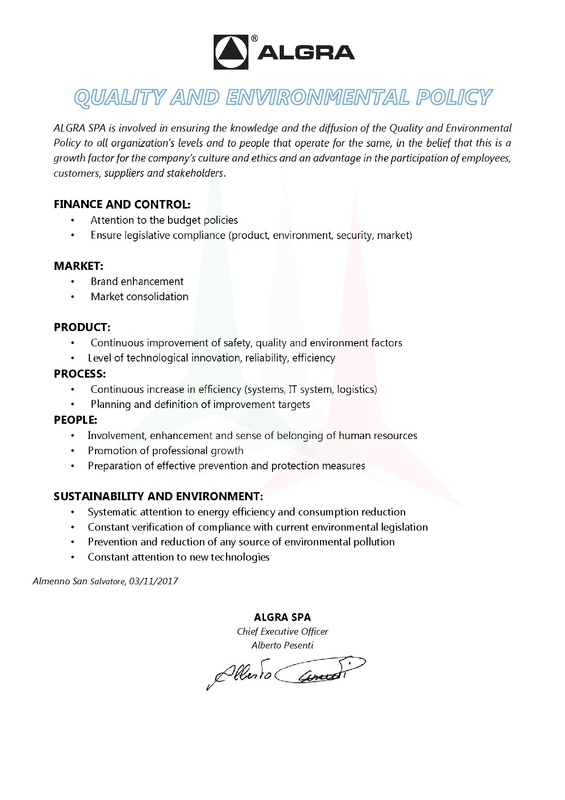 The high level of sensitivity to the compliance with safety and environmental rules is present and immediately perceived in all Company facilities.